On Tuesday 22nd May, Hereward's elected School Council representatives enjoyed a very special trip to the Houses of Parliament, Westminster. Shortly after arriving, the children were taken to the Victoria Tower, which is used by the Queen whenever she enters the Palace of Westminster. This then led into the Queen's robing room, which was beautifully decorated with gold leaf. School Councillor Evie stated, "I really loved the paintings there which portrayed all the different virtues." After much anticipation, the School Council then had the opportunity to sit on the red benches of the House of Lords. Here, they gained an insight into how politicians discuss and debate issues affecting us. Holly in Year 5 said, "I'd seen the House of Lords on television before. I was surprised to discover how much smaller it actually is!" After taking part in a debating workshop, the School Council were excited to receive a surprise visit from our local MP, Eleanor Laing, who took the time out from her busy schedule to speak to the children. 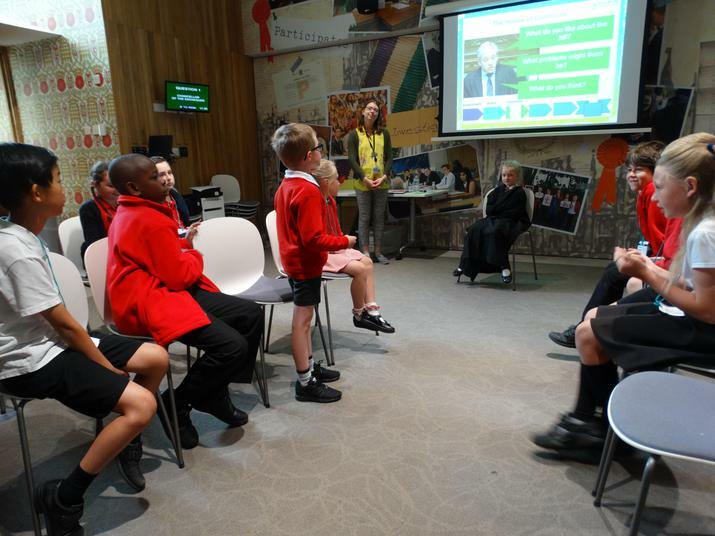 School Council Lead, Sophie Chapman said, "This was a fantastic opportunity for our pupils to hear from, and speak with, someone who plays an important role in parliament. The children were really interested and asked some great questions on a range of issues."